Lowest price/sq ft with the pool in Oldsmar. Beautiful/Spacious home on Conservation. Open Floor Plan. High ceiling foyer. Open Island Kitchen adjoins Breakfast Nook and Family Room with Sunroom. All overlooking the pool with no rear neighbors. Formal dining room. One bedroom downstairs now being used as an office. Master Bedroom with Garden tub upstairs, his & her sinks and closets (No Sharing needed!). Large In-ground Pool with Diamond Brite Surface surrounded by spacious sundeck and screen enclosure overlooking the preserves. No Rear Neighbors! 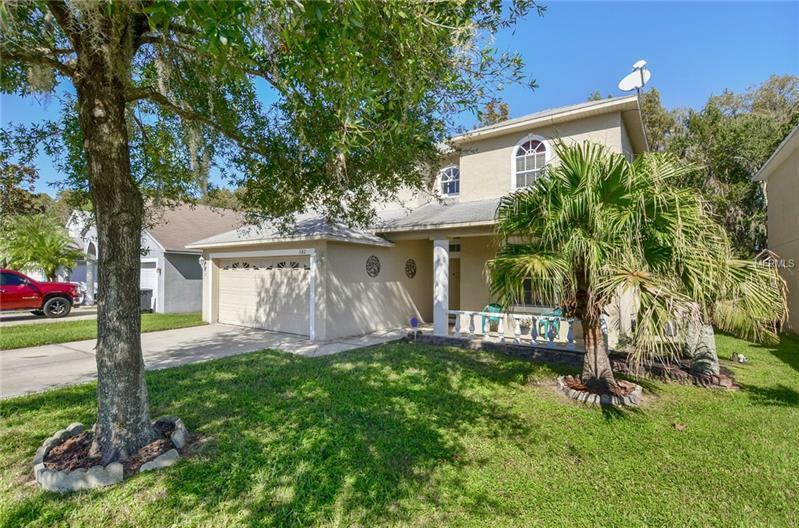 A new roof will be installed before the closing, New 2.5 Ton AC Unit, Water Heater, Washer & Dryer installed in 2016; Located just west of Westchase, it's only 15 minutes to the Airport and 30 minutes to Tampa Downtown and the Beaches. DON`T MISS YOUR CHANCE TO BE IN THIS GREAT CENTRAL LOCATION.